The 8 AM update is just in, and still shows a northern Texas landfall, somewhere between Houston and Beaumont.... Rita II. This all depends on what the front does. The models show the tail end of the front dissipating, causing the northward turn, but as you can see on the frontal map, that ain't happened yet. It's still wait and see, but if I lived anywhere from Matagorda Bay northward, I'd be gettin' outta Dodge. Keep your eyes peeled, and good luck. Well, we're fully in the "cone" now for Ike's US landfall. He still has a ways to go, and things can change as we well know. But now is the time to check and recheck your preps, check on your evacuation routes, establish your possible bug out locations, and basically make sure everything is in order. Fill your gas tanks, water containers, and check your tires, belts, hoses, etc. on your car. Ike has some nice warm water to cover before his arrival, so he'll spin right back up after he clears Cuba. I suspect the catagory 3 forcast shown in the above map is a bit optimistic. Catagory 4 is my bet. Dolly cooled the Gulf a bit, but it's still pretty warm, about the same temperature as where Ike was a catagory 4 just a few days ago. Couple that with little to no wind shear and you've got perfect conditions for a lot of strengthening. Keep an eye on this bugger, and be aware, be informed, be prepared! The Wall Street Journal has reported that the U.S. Treasury Department could announce big changes for Fannie Mae and Freddie Mac as they struggle with the current mortgage and housing crisis. This trend is quickening. Soon it will be GM, Ford, etc. Ike is heading southwest like I anticipated he would, and will soon be in the Gulf. There is a frontal system steering Ike in this direction, and low pressure moving in from the west that will help pull Ike along. Jars of Canned Butter & Hamburger Rocks. Now you can purchase canned butter from The Internet Grocer http://www.internet-grocer.net/butter.htm or make it yourself using the directions below. 7. Canned butter should store for 3 years or longer on a cool, dark shelf. [It does last a long time. We have just used up the last of the butter we canned in 1999, and it was fine after 5 years..] Canned butter does not "melt" again when opened, so it does not need to be refrigerated upon opening, provided it is used within a reasonable length of time. We have canned over 75 pints of butter in the past year. Miles loves it and will open a jar when I'm not looking! I buy butter on sale, then keep it frozen until I have enough for canning 2 or 3 batches of a dozen jars each. The most difficult part of the whole process is coming up with the necessary extra funds to purchase the 11#'s of butter all at one time. I already had the jars. I used "Land-O-Lakes" unsalted. Keep the temperature as low as possible yet let it simmer so as not to scorch the butter. Shake, Shake, Shake and Shake some more - Looks good and tastes just fine. Need a temporary bug-out location that's easy on the budget. Get a Texas State Parks Pass for you and your family and it's good at over 90 locations in the state of Texas. If you have to bug-out for a while due to whatever (storm, flood, or just to get away) a Texas State Parks Pass is a great way to do it on a budget and have a large variety in your choice of destinations. Mine only costs $60 and it's good for a whole year. I have a lot of places I can go for only $5 a month! 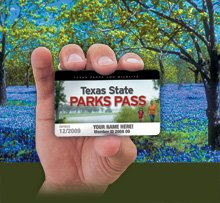 Get more information on the Texas State Parks Pass. Is this what we have to look forward to in the near future? He estimated that Cambodia supplied more than a ton of live rats a day to Vietnam.